Square flanges are made in accordance with JIS B2291 / JIS F7806 standards. Square flanges are used as for between pipe-to-pipe or pipe-to-components connections. They are mostly used in hydraulic systems line where there is a passage of fluids and are made of two materials which is steel and stainless steel. There are two most commonly used designs for square flanges: SHAB Square Flanges and SSAB Square Flanges. 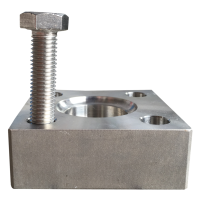 The pressure ratings for square flanges are available in 210 kg/cm², 280 kg/cm², and 350 kg/cm². It is with a single available socket weld connection that requires the pipe to have plain ends. Size Range: 1/4" to 6"
Square flange is used for the between pipe to pipe or pipe to components connections, like valves, tees, and elbows. Square flanges are made in accordance to JIS B2291 / JIS F7806 standard. It links the JIS standard nominal bore size pipes together. Square flanges are mostly used in hydraulic systems and steam lines. 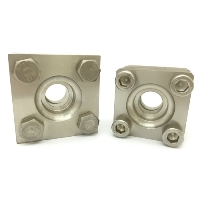 The materials used to fabricate square flanges are steel (SF440A) and stainless steel (SS316). 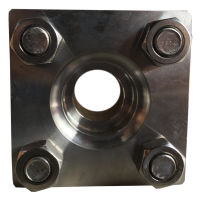 The sizes of square flanges range from 1/4" to 6" in nominal bore sizes. Pressure rating of square flanges are available in 210 kg/cm², 280 kg/cm², and 350 kg/cm². 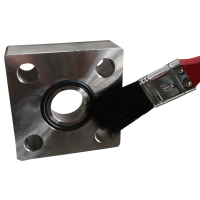 The only available connection for square flanges is socket weld where the connection sides of pipes need to be plain ended. There are various types of configurations for square flange: SHAB, SSAB, KAB, LSA, and Blind Flange. SHAB is a complete set of square flange that combines hexagon hex bolts, while SSAB is a complete set of square flange combined by a socket cap screw. The flange body of SHAB are larger than SSAB. Complete set of square flange includes male flange (flat side), female flange (o ring side), o ring, and bolts. The female flange is identified as A and male flange is identified as B. Thus, the complete set is AB. 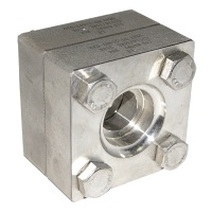 LSA is a special type o ring side square flange where the internal flow is in L shaped. Blind flanges are used to seal the flow at the end of a piping system. They are typically used to run a pressure testing of fluids through vessel or pipes. For the termination of hydraulic system, only one side of blind flange is used, either o ring side or flat side. 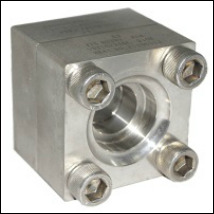 Square Flanges are used for high pressure hydraulic applications up to 210kgf/cm². In order to use and assemble square flanges safely, it is important to know the right procedures and torque range for assembly. 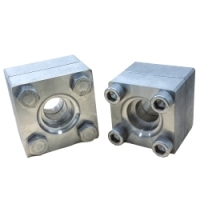 ​Square Flanges made in accordance to JIS B2291 standard are connecting pieces that links Japanese Industrial Standards nominal bore size pipes together and has a working pressure of up to 210kgf/cm². The pipes used should be of hydraulic seamless design and suitable for high pressure applications. It is important to note that every hydraulic system requires some form of fitting installation. Hence, proper fabrication and installation are essential for leak free performance, the overall efficiency , and general appearance of any system. 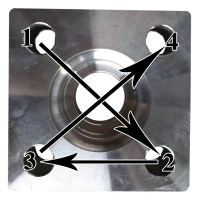 In order to use and assemble Square Flanges safely, it is essential to know the right procedures. Do watch our youtube video and our instructions below carefully! 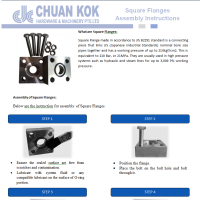 Below are the instructions for assembly of Square Flanges. Lubricate with system fluid or any compatible lubricant on the surface of O-ring portion. Place the bolt on the bolt hole and bolt through it. Tighten the bolts with nuts by hand. Torque the bolts gradually in diagonal sequence. Square Flanges can be found in the IMPA Marine Stores Guide, which is the world’s leading reference guide for maritime purchasing and supply.